And studied the light in her room. Dispelling the darkness and gloom. Bright stars and the face of two moons. And lifted her fingers like knives. Entreating them both to survive. Espousing the tale of their plight. She knew what she saw, rest assured. My daughter awoke one morning with a strange story. 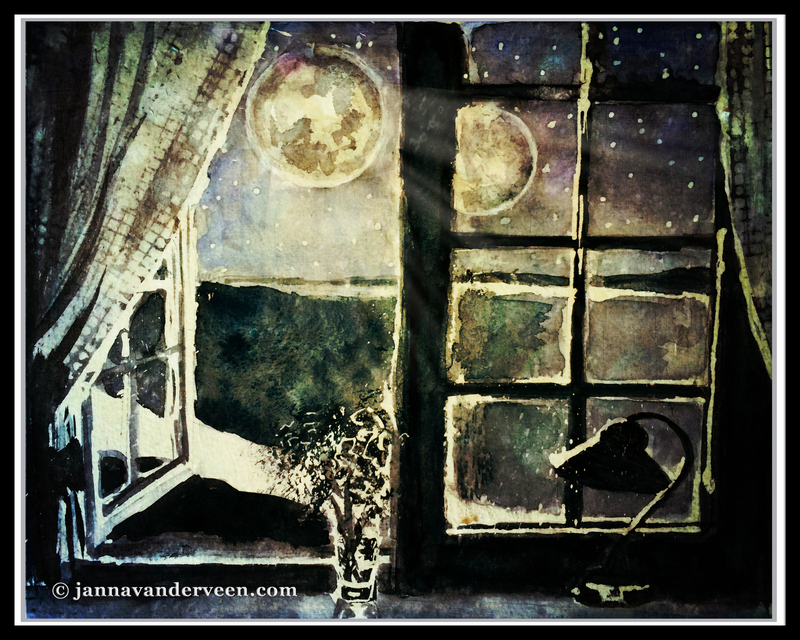 She claims that she climbed out of bed in the middle of the night, peered between the blinds on her window, and saw two large moons shining down from the sky. She was convinced this was the truth and no amount of dissuading her would suffice. This poem is a result of that conversation. For my daughter, my muse. Both the poem and the picture! You are really so talented.